For the growing number of "DIY'ers" out there, Cushion Source offers cut fabric yardage, blocks of cushion filler, and pillow buns to help you complete your creative project. Order indoor or outdoor fabric by the yard for all of your home decorating and sewing projects. We offer cut fabric yardage in hundreds of fabrics. Fabric samples are also available. Order indoor or outdoor replacement filling in the size and shape of your choice. We offer multiple fill options for cushions, and we can even create custom shapes with your templates. 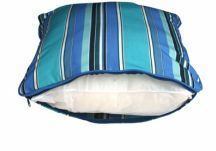 Order indoor or outdoor replacement pillow buns in the size of your choice. We offer two fill options for pillows. Make your own cushions or pillows with materials from Cushion Source. We can help with the necessary supplies. 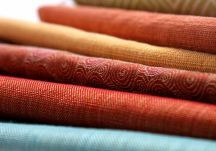 We offer cut yardage from the entire collection of Sunbrella fabrics, as well as designer acrylic fabrics, collegiate fabrics and more moderately priced fabrics suitable for indoor use, all reasonably priced per yard. 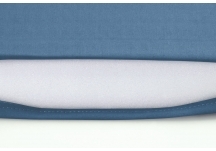 We offer foam and layered polyester to fill your cushion shells, each cut to your specific dimensions and thickness. Our medium-density foam provides great support for indoor applications. If you are making your own cushions for outdoors, we suggest using our layered polyester filling. It does not retain water, and it is not susceptible to mold or mildew. Teamed with Sunbrella fabrics, this polyester filling will help you make cushions to cherish for seasons to come.